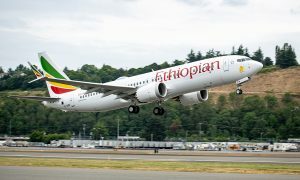 The Board of Directors of the African Development Bank (AfDB) has approved a financing package of USD 159 million to partly finance Ethiopian Airlines’ expansion plan and fleet modernization program. The package comprises two tranches, with the first tranche (85% of the financing) being covered by African Trade Insurance, Africa’s export credit agency, which will be providing credit risk insurance to the transaction. The investment is a reflection of the Bank’s new strategic thrust to achieve its five operational priorities and is rooted in the necessity to integrate Africa and improve air connectivity in the continent. 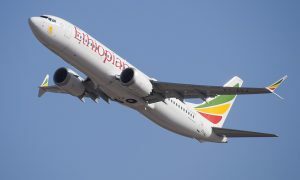 Ethiopian Airlines is the flagship airline for Ethiopia, 100% owned by the government of Ethiopia. 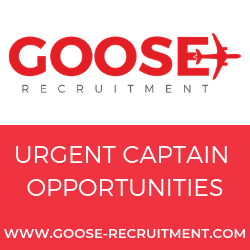 Its operations are covering all aspects of aviation services including passenger services, cargo services, maintenance, ground handling, catering and training with the aviation academy. With 93 destinations served, it is connecting the continent through its pan-African routes and it is also connecting Africa to the rest of the world. 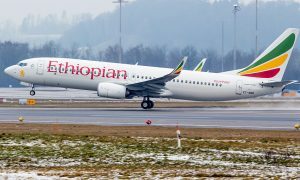 The Bank’s support will allow Ethiopian Airlines to keep the momentum on its expansion plan and be on track on its route operating roadmap. Ethiopian Airlines is setting the standards for the aviation sector in Africa and operates a modern and fuel efficient fleet. This corporate loan complements previous interventions approved by the African Development Bank in support of developing the aviation sector on the continent, both from its public and private sector windows. It is also a testimony of the Bank’s catalytic role in improving the operating environment and financial soundness of the aviation sector in the continent. The African Development Bank has a long-lasting relationship with Ethiopian Airlines and newly approved intervention is the second corporate loan to Ethiopian Airlines processed under the Bank’s private sector window.